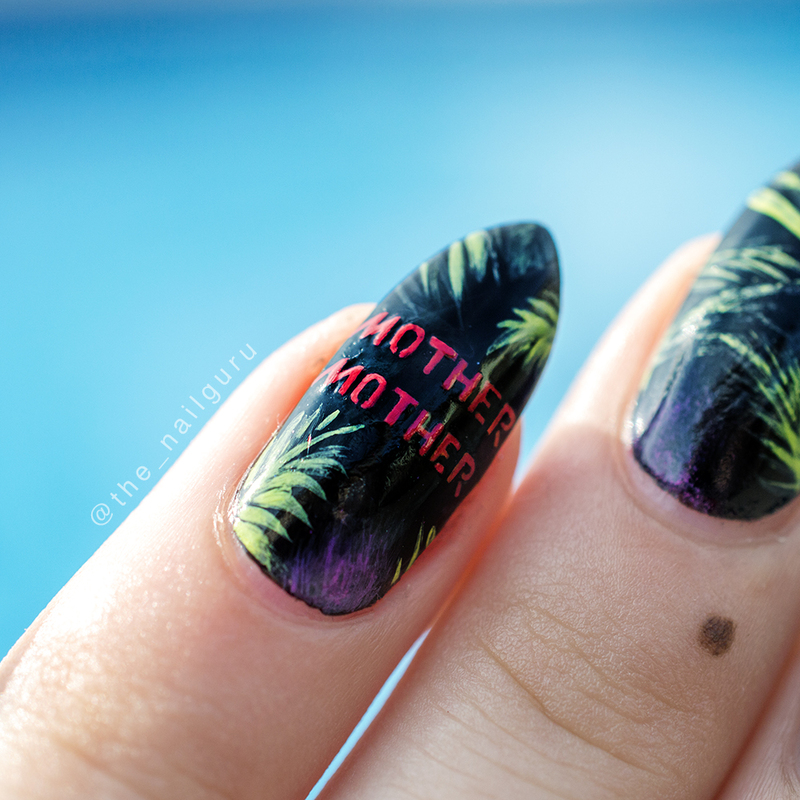 On today's #tbt, I'm taking you guys back to early fall 2016 to when I painted Mother Mother nails. They played at my school, and I mean, how could I not have nail art for that?! 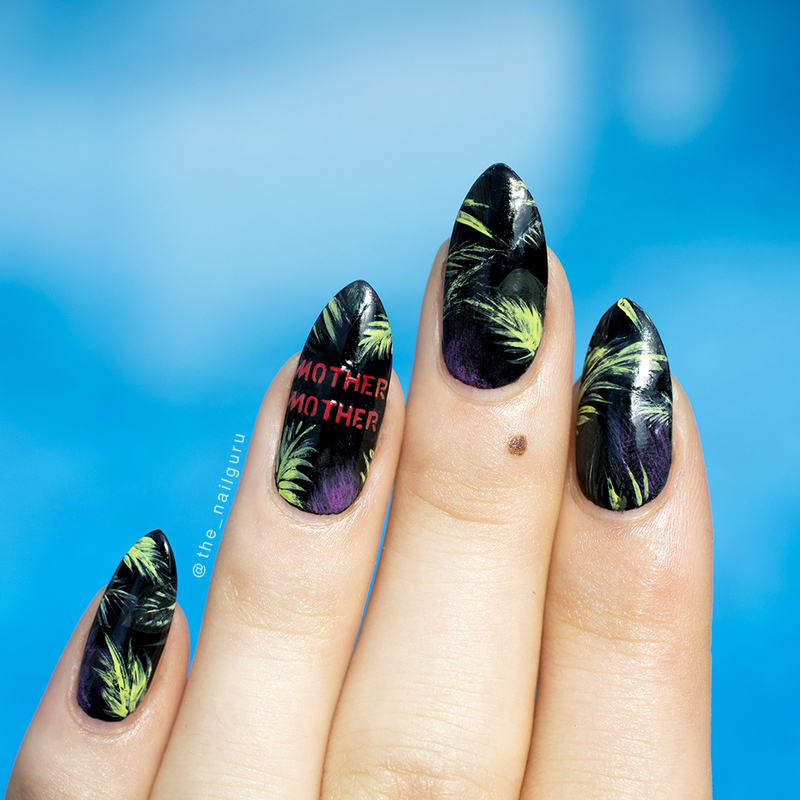 The base for these was Black Taxi from Nails Inc. Everything else, from the leaves, to the random colour smudges and the band name was acrylic. And of course I have a close up! That's about it for today, so I'll see you guys next week with some more nail art!